I've had some computer problems, I've been away for a few weeks and the trails were ice-covered, muddy and unpleasant. 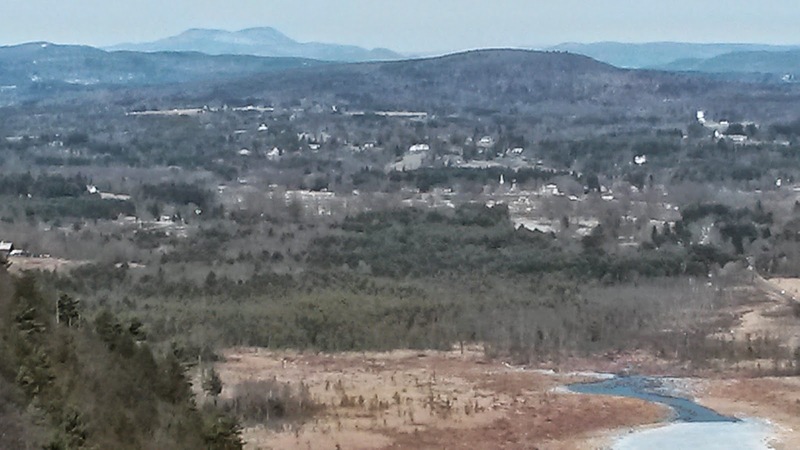 So here are photos from various hikes in the last month of things I found interesting. Spring is here, although today I woke up to 3 inches of snow! I expect it to be gone by tomorrow. 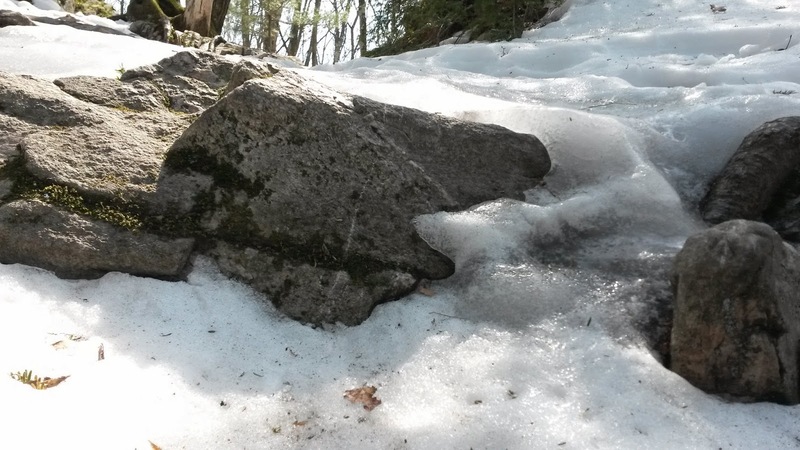 The trail on Monument Mountain (March 27) was covered with thick ice. It was great to be outside, but even with my traction devices, walking was difficult. 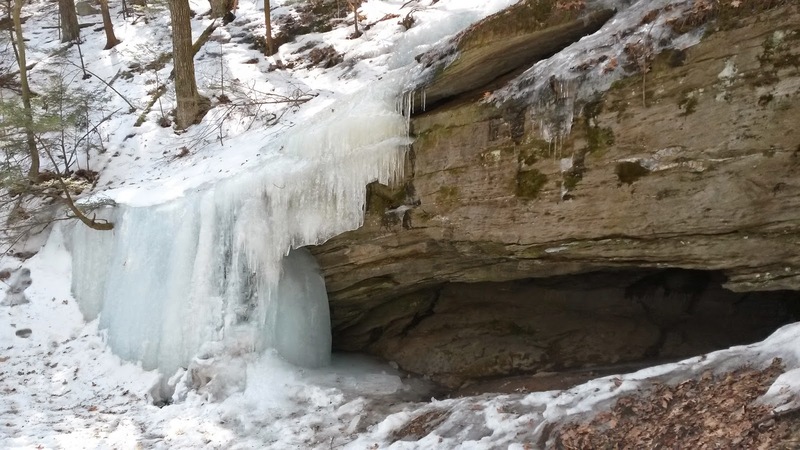 I heard the water falling over the rock, but could see only ice. Thick ice covered most of the trail. The view at the top was great as always! It was misty and gray at Bash Bish Falls on March 30. 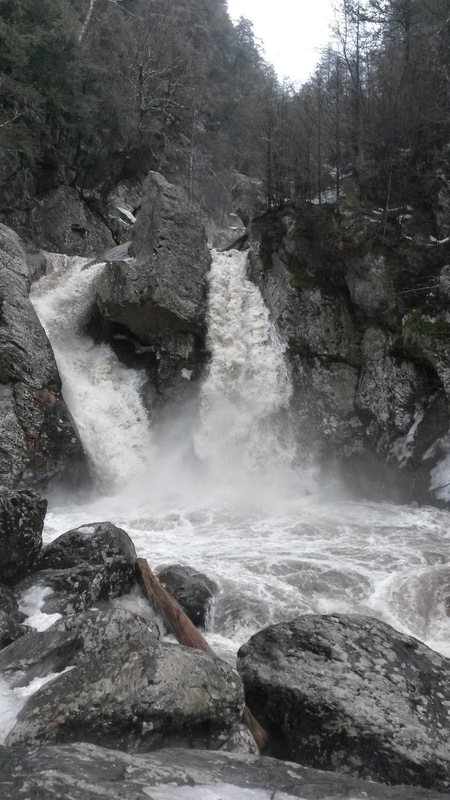 With the rain and spring runoff, the falls were rushing dramatically. Bash Bish Falls, Mt. Washington. 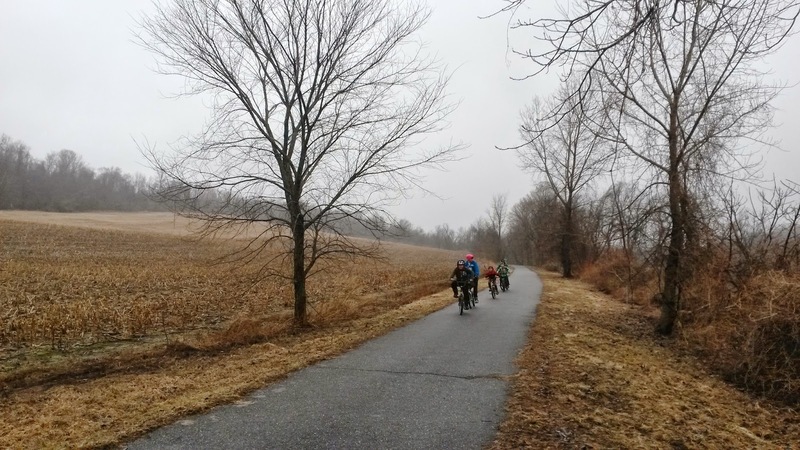 A rainy day along the Harlem Valley Rail Trail in Copake, NY— April 1.